While now most recognisable as a BBC pundit, it should not be forgotten that at his peak John was a brilliant snooker player, who competed at the very highest level for much of the 1990’s. 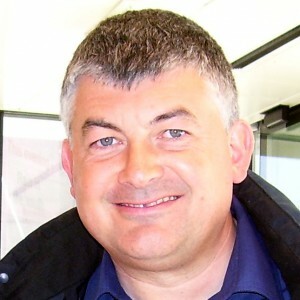 One of only five players to win the World and UK Championship events in the same year, he stands seventh on the list of ranking event winners with nine titles and managed to compete at the Crucible during each season between 1984-2004. Particularly renowned for his ability to play shots with the cueball up close to the side-cushions, it is fair to say that but for the exceptional talents of Steve Davis and Stephen Hendry when John was at his peak, he could have won so much more, though his results are still more than respectable. As a youngster, it was in fact crown green bowling that was John’s favourite past-time. One day when he was aged just 12 however, it began to rain, so his father took him to the Dudley Institute, a local snooker club just over the road and immediately John was fascinated by the game. His game quickly began to improve and under the guidance of manager Phil Miller, he began to really make a mark as a junior. Having won the North-West regional under-16’s Championship three times, he then made the final of the national championship in 1980. The following year, he won the Pontin’s Junior Championship, before in 1982 he took the Pontin’s Open crown along with the first of two Junior Pot Black titles. Although he lost in the finals of the British under-19’s Championship and the English Amateur Championship to Neal Foulds and Tony Jones respectively, it was clear that Parrott was a highly promising player and that there was nothing more to gain by remaining in the amateur ranks. Turning professional in 1983, his début season was to be promising, as he moved straight into the rankings in 20th position. The highlight of the campaign came at the Lada Classic, where he beat Doug Mountjoy 5-4 to qualify for the TV stages of an event for the first time. Once there he then defeated Alex Higgins 5-2 and Tony Knowles 5-1 before falling to Steve Davis in the semi-finals. Inspired by this, he also had a good run at the World Championship when he qualified for a début at the Crucible at the first attempt with a 10-0 win over Perrie Mans. Again defeating Knowles in the last 32, John eventually bowed out to Dennis Taylor in a close last 16 match, though this was no disgrace given that Taylor would win the title just a year later. The next couple of seasons were to be tougher for John however, as although he made his first World Championship quarter-final in 1985 before losing to Ray Reardon, it was not enough to see him break into the elite top 16. 1985/6 was to be a similar story, as a second semi-final and another run to the last 16 of the World Championship moved him up to 17th position. 1986/7 started strongly for John, as he reached the semi-finals of the UK Championship, before losing out in Sheffield to Jimmy White in the last 16. Still he had done enough to move up four places to 13th, crucially meaning that he would no longer have to qualify for the TV stages of ranking events. Once there, John went from strength to strength and made his first ranking event final at the 1988 Mercantile Credit Classic, losing 13-11 to Steve Davis. Two further semi-final runs and another appearance in the last 16 of the World Championship moved him up into the top 10 for the first time at 7th. Now regularly reaching finals in 1988/9, John finally made his breakthrough in the 1989 European Open, when he defeated Terry Griffiths 9-8 to take his first ranking event title. Following a great run to the final of the B&H Masters at Wembley, where he eventually lost out to rising star Stephen Hendry, he repeated the feat at the World Championship having beaten Steve James, Dennis Taylor, Jimmy White and Tony Meo. The final was to prove one step too far however as John had absolutely nothing left to give and he was hammered 18-3 by Steve Davis in what to this day remains the most one-sided World Championship final ever. Still, John’s exploits had done enough to propel him to a career high number two in the world rankings. The following season was a similar story in fact as he defended his European Open title with a 10-6 victory over Hendry before the Scot gained his revenge in the final of the Masters and the semis of the 1990 World Championship with a 16-11 win. Despite these good results, Hendry’s eventual victory at the Crucible moved him up to the top of the rankings, pushing John down to third. The 1990/91 season was to be a strange one for John as he began to experience a number of issues with his cue. Struggling to find his best form he eventually took the decision to make a change and the results were immediate. Having reached the final of the Irish Masters in his first tournament using the cue, again losing to Davis, John went into the World Championship feeling confident and looking to make up for lost time over the season. Defeating Nigel Gilbert, Tony Knowles and Terry Griffiths to reach the semi-finals, he then came up against the man who had embarrassed him in 1989, six-times world champion Steve Davis. In what was a hard fought match of the highest quality, this time it was to be John’s day and he emerged a 16-10 winner to move into his second World final. There he would meet the ever-popular Jimmy White and having raced into a 7-0 lead in little over an hour, never really looked back on his way to an 18-11 victory. Given his change of cue and the season that he had just had, this was a brilliant achievement for Parrott and one that would confirm his status as one of the best players of his generation. He managed to cement this position in the following season, as he won the Dubai Desert Duty Free Classic and the UK Championship to help move him back up to number two in the rankings, just behind Stephen Hendry, who also defeated him for the third time in a Masters final. The only disappointment was that as with every other world champion, he fell victim to the ‘Crucible Curse’ and failed to defend the title, losing out 13-12 to young Scot Alan McManus in the quarter-finals. Still, his confidence was not to be dented in 1992/3 as he made the perfect start to the new season by successfully defending his Dubai title with a 9-8 win over Hendry. Unfortunately though he could not defend his UK crown as White gained a measure of revenge for the world final, and his run at Sheffield would again come to an end at the quarter-final stage when he lost out to Thailand’s James Wattana. 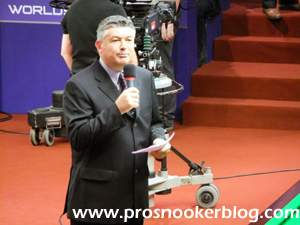 The next few seasons saw John add three more ranking event titles to his name, bringing his grand total to nine and he managed to play well enough to retain a spot in the top six of the rankings for the rest of the decade. Entering his mid-thirties however, by 2000 John was starting to struggle for form and his increased involvement with the media proved to be further distraction as he slipped to 10th in the rankings, his lowest position since 1988. Things did not get any better during 2000/01 when despite a run to the semi-finals of the Thailand Masters, first round results in most other tournaments saw him slip out of the top 16 and down to 22nd position. For the next five seasons, although he never really came close to regaining a top 16 place, he at least managed to halt his slide down the rankings and maintain a place in the top 32. One run that did come to an end in 2005 however was his twenty consecutive years at the Crucible, as he lost his final World Championship qualifying match at Prestatyn. Following 2006/7 however, he found himself outside of the top 32 as his results became less consistent. John was to get off to a slow start in 2008/9, as he was forced to withdraw from the Shanghai Masters as a result of a date clash with his charity golf event. He did manage to go on a good run during the 2008 Grand Prix when he defeated Atthasit Mahitthi, Ken Doherty and Mark King to reach the last 16, but his subsequent 5-0 whitewash at the hands of Ali Carter brought him back down to earth with a bump. Though he managed to qualify for the China Open late in the season, he was subsequently forced to withdraw from the tournament for medical reasons. Combined with heavy defeats in both the UK and World Championship, this meant that John was to fall out of the world’s top 48 for the first time in his career at the end of the season. John’s season got off to a nightmare start as he was blitzed 5-0 in qualifying for the season-opening Shanghai Masters event by Welsh youngster Michael White. Following such a poor performance, speculation began to mount as to his future in the game beyond the end of the season. Following that match however John’s fortunes began to improve, a 5-4 victory over Simon Bedford in qualifying for the Grand Prix and a 9-8 success over Patrick Wallace during the UK Championship helping to secure some much-needed ranking points heading into 2010. Unfortunately, these victories were to prove his last as he lost his opening matches at the Welsh Open, China Open and then the World Championship, the latter against 18-year-old Chinese player Zhang Anda.